This system is for Press machine, including Air Driven Hydraulic Pump Unit, Die Clamp, Die Lifter, and Die Arm. It can help to change die/mold in a short time. It replaces the traditional method which used the screw to fix the die/mold. 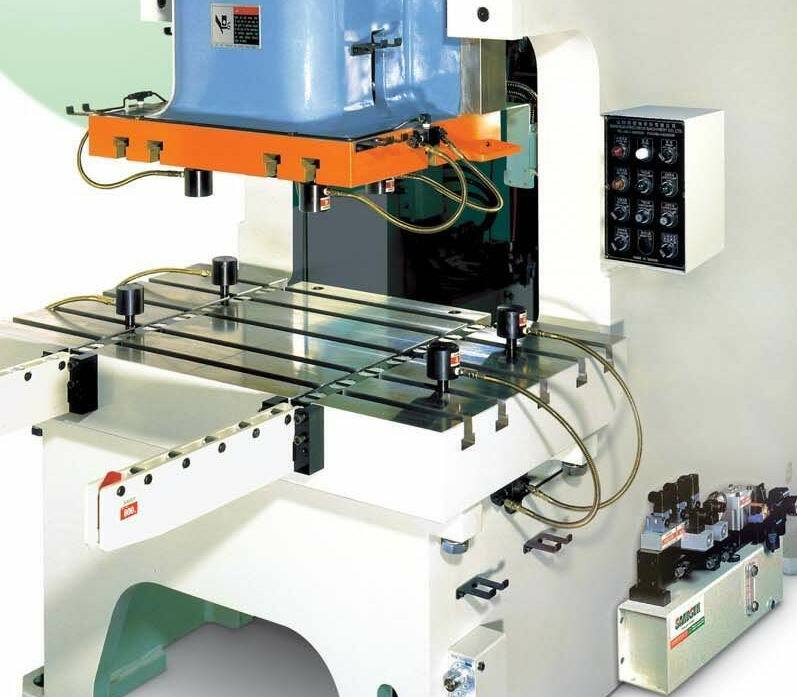 To insure the safety of operation, the movement between each equipment will be pined down mutually.It has the function of inspection pressure and can be interlocked with the machine.